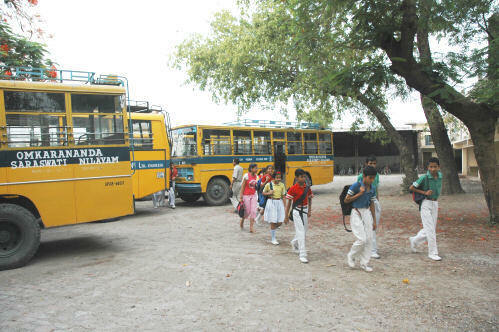 Catchment Area : Up to 8 km, by 4 Omkarananda School-Buses, on foot, etc. 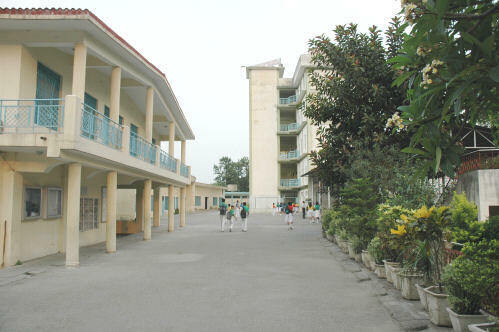 Extracurricular Activities : All kinds of Folk Dances, Group and Solo Singing, Playing of Instruments. 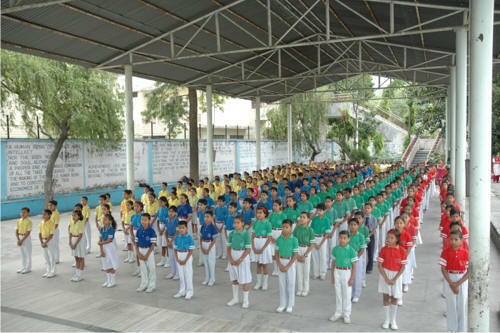 Sports: Kho-Kho, Volley Ball, Basket Ball, Badminton, Table Tennis, Athletics, Chess, Carom. 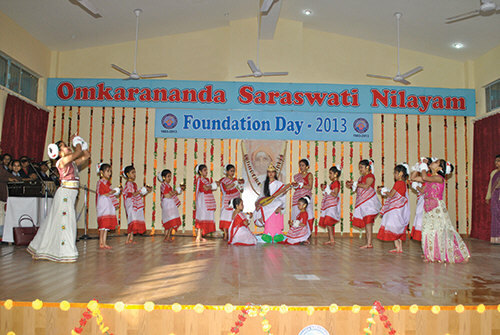 Omkarananda Saraswati Nilayam, an English Medium Inter-College, is a true flagship in the field of education. The holy smoke of the Yajna calmly flowed over the invited guests on 1st December 1983, when Dr. B.S. Bajaj, the then General Manager, IDPL, as Chief Guest, and Mrs. D'Souza, cut the ribbon for a great future to come. 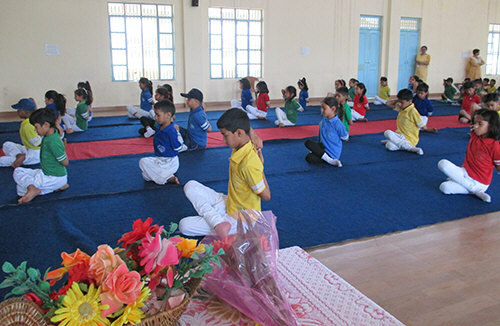 By the blessings of Gurudev Paramahamsa Omkarananda Saraswati the School unexpectedly rose from 3 children to such a rush that transportation became very essential. In 1984 the School proudly got a new School Bus to bring the children from different places in the near surroundings to the School and back. Fresh buildings were constructed and 3 more Buses started running to the holy City of Rishikesh, IDPL, Lakshmanjhula and Muni-ki-reti to keep up the need and satisfaction of the parents, respectively their kids. After acquiring an ideal place with excellent buildings the School was shifted to Muni-ki-reti at the Main Road to Badrinath. 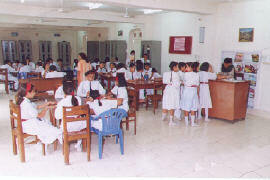 Modern lab equipments, latest computer facilities, ideal class rooms and good places for sports activities were a boon for the children who joined the School. 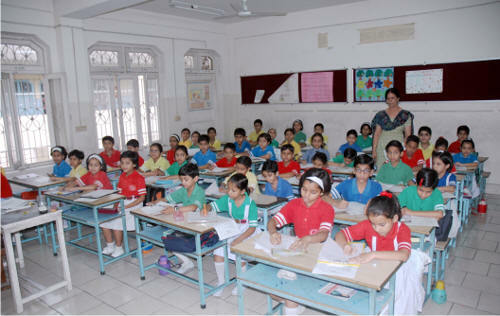 With affiliation to the ICSE, New Delhi, the School easily competes with the famous educational centres in Mussoorie and the Doon valley. The School is having trained, experienced and qualified teachers who impart educational instructions on most progressive and modern lines. Excellent results, top model behaviour, gave various students of this School a safe future and position in prominent industries and other businesses and high class professions, in India and also abroad. 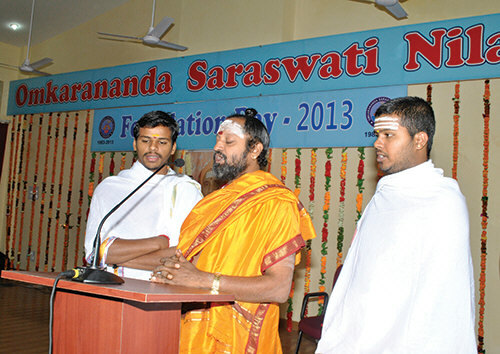 by Students of Omkarananda Saraswati Nilayam. for her achievement by Shri Swami Vishveshwarananda. Shri Sudhakar Sharma blessed the audience with his powerful Vedic Recitation. 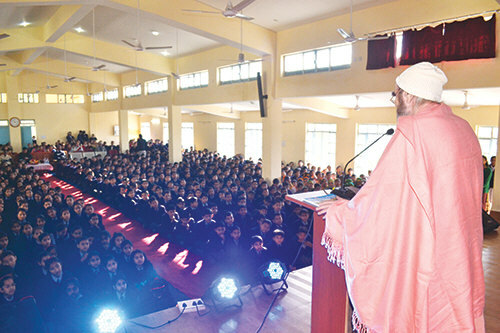 Swami Vishveshwarananda addresses the students of Omkarananda Saraswati Nilayam. 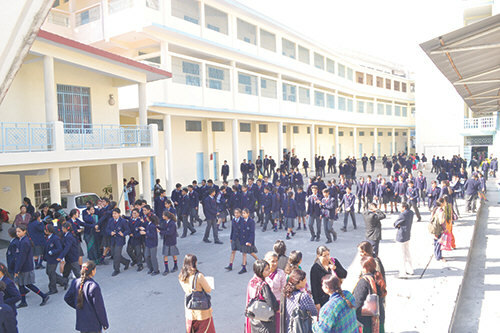 which is having a strength of 2500 students.